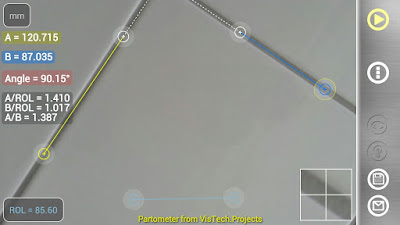 New Partometer update v4.5 brings requested improvement to the Angle Mode. 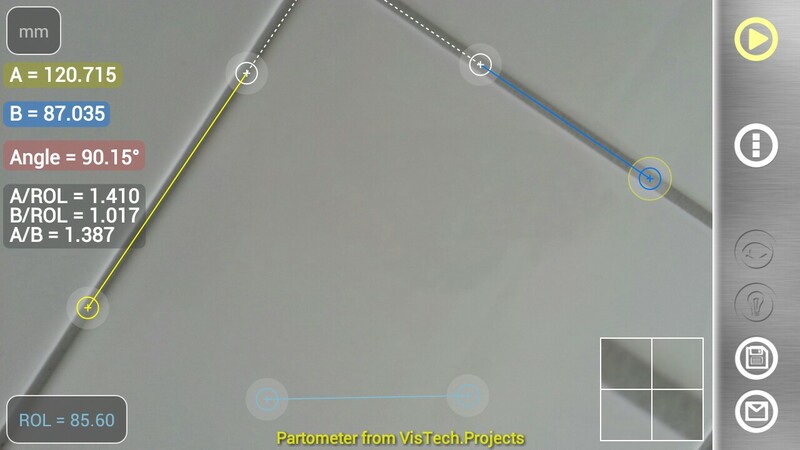 Now you can measure angles that are not visible or partially visible on the screen. It is achieved with the new option of using two independent (not connected) rulers for angle measurements. For example, the new feature can be applied for the pipe bend estimation. If the diameter of a pipe is known, it can be used as a scale reference. Then bend angle and bend radius are easy to measure using the app. *Also the button panel has been extended with the menu button for the Samsung users who had issues with reaching different measurement modes.